We are endeavouring to keep services running. Please check our Twitter page for regular updates (@A4AirDecker). This entry was posted in Uncategorized on February 1, 2019 by Victoria. All other services will operate as normal. Please allow plenty of time to reach your destination. We are doing our best to resume service ASAP. An Amber Weather Alert for heavy snow has been issued across the South-West from 15:00hrs onwards. Currently all our services are operating to the published timetable. Should there be any disruption to service, updates will be posted on our blog and through our Twitter page (@A4AirDecker). Please ensure you allow plenty of time to reach your destination. This entry was posted in Uncategorized on January 31, 2019 by Victoria. The met office have issued a yellow weather warning for snow and ice, from 31st January 2019 around mid-day until Friday 1st February 2019. Should this come to fruition, then there may be disruption to service. Any updates and variation will be communicated through our website and Twitter (@A4AirDecker). Please ensure you allow plenty of time to reach your destination. This entry was posted in Uncategorized on January 30, 2019 by Victoria. From 16:00hrs onward, Manvers Street will reopen to traffic and the A4 Air Decker will depart from its normal bus stop (alongside Debenhams) and resume normal route-including serving Terrace Walk. This entry was posted in Uncategorized on January 27, 2019 by Victoria. The road closure in Saltford due to an earlier accident has now been lifted and the A4 has resumed normal route. As a result of the road closure, the 11:30 service in both directions was unable to operate. Please note services today will continue to depart from outside Bath Bus Station as Manvers Street remains closed. Due to an accident in Saltford the A4 service is currently being diverted as the main road is closed. Buses are diverted along the Wellsway in both directions and resuming normal service at The Globe/ Keynsham. This is in place until the road reopens. Apologies for any inconvenience caused. 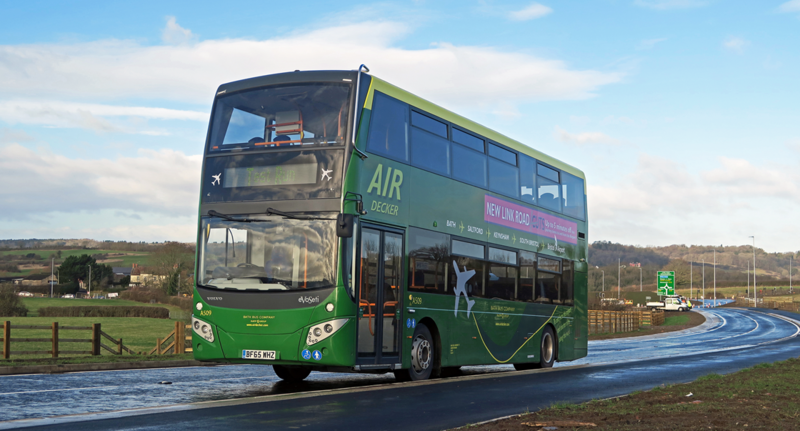 Due to Manvers Street being closed, A4 Air Deckers will depart from outside the bus station for the duration of today. Roads have now reopened so normal route has resumed. This entry was posted in Uncategorized on January 1, 2019 by Victoria.